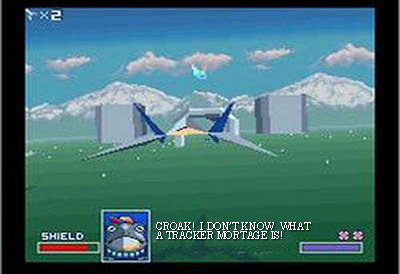 Monkeyfudge and RetrOgamer discuss the Star Fox series of games. Star Fox (スターフォックス Sutā Fokkusu?) is a video game series published by Nintendo. The original game was a forward-scrolling 3D Sci-Firail shooter. Later sequels added more directional freedom as the series progressed. The game concept was inspired by a shrine to a fox god who could fly, which Shigeru Miyamoto visited regularly. The shrine was accessible through a series of arches, thus inspiring the gameplay. The first game in the series, developed by Nintendo EAD and programmed by Argonaut Software, used the Super FX Chip to create the first accelerated3D gaming experience on a homeconsole. The Super FX Chip was an additional math co-processor that was built into the Game Pak and helped the Super Famicom and SNES better render the game’s graphics. The Super FX Chip has been used in other Super Famicom/SNES games as well, some with increased processing speed. Its remake, Star Fox 64, further revolutionized the video game industry by being the first Nintendo 64 game to feature the Rumble Pak. Due to trademark issues over the name Star Fox in PAL region territories, Star Fox and Star Fox 64 were released in those countries as Star Wing and Lylat Wars respectively. However, Nintendo bought the rights before the release of Star Fox Adventures so future games could be released worldwide with the same name. 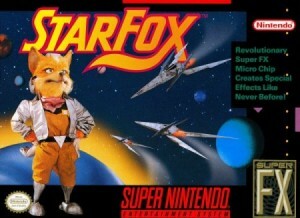 The games follow an independent mercenary unit called Star Fox (made up of anthropomorphic animals) and their adventures around the fictional Lylat system. This entry was posted in Podcast and tagged 3DS, Amiga, arcade, Gamecube, monkeyfudge, N64, NDS, nintendo, retr0gamer, retro, SNES, starfox. Bookmark the permalink.